Hello, friends! I have a super fun card for you today using some awesome stamps from CAS-ual Fridays Stamps! I absolutely LOVE this marquis style stamp set! It is way too much fun! 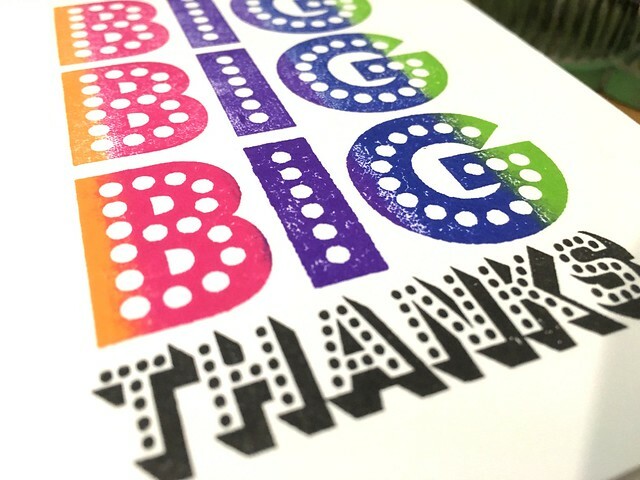 I combined it with a totally fun ink pad to create this bright and colorful thank you! 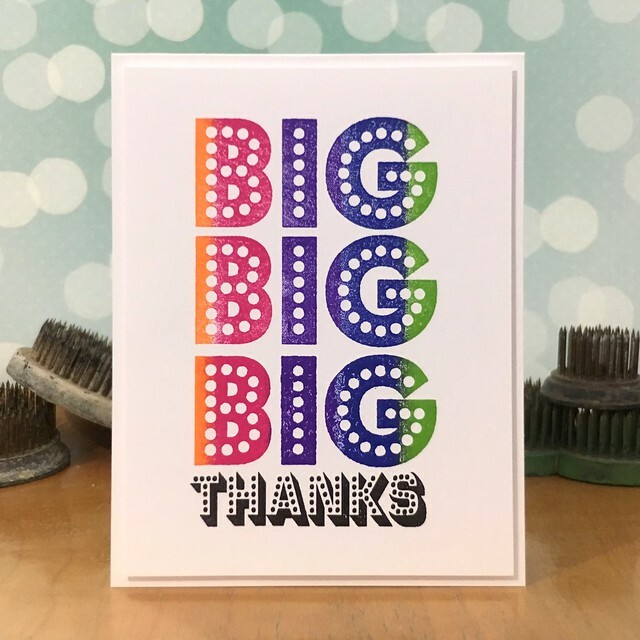 I stamped the big three times and then added the thanks at the bottom in black so it would stand out. This wasn't a difficult card, but it was seriously fun to create! I love the color! 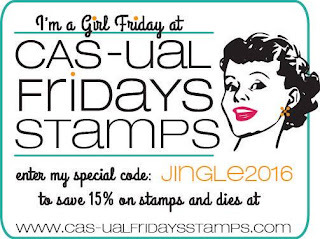 If you love these stamps or any other awesome CAS-ual Fridays Stamps and dies, don't forget that you can use the code JINGLE2016 to save 15% on your order in the CAS-ual Fridays Stamps store! OMGOSH YES! This is FAB!!!! !